Just having a website online isn’t going to cut it anymore. Not only is it expected to have a website nowadays, websites have become powerful marketing tools. No longer are they just pretty brochures taking up online real estate. If you want your website to work for you, you need to leverage your site and optimize it to get the results you are wanting. Each business is unique, so of course there will be customization that you (or a web designer/developer) will need to implement. That said, there are also standard elements that need to be on your website, regardless of your industry. What is the point of driving traffic to your website if no one takes an action? You need to guide your visitors on a journey to your most desired action – giving you a call, signing up to your newsletter, filling out a contact form, buying an item, etc. This needs to be obvious on every page – otherwise you’re missing opportunities. Having clear direction for visitors increases the likelihood of visitors staying on your website longer. The longer a visitor is on your website, the better chances of you getting them to interact with you. You want visitors to always know where they are, where they can go, and how to get back again. Make sure that your main navigation are your most important links or categories. You can also utilize sub-menus. I recommend going no further than 3 levels deep. Imagine your visitor seeing your website for the first time. Imagine what they will want to be looking for and where they would go to find that information. Having a logical flow will improve your conversion rate. It’s imperative that people know exactly who you are and what you offer the moment they land on your page. Don’t rely on just a logo to explain your business. All of your copy, imagery, color, and other parts of your brand should make it very clear what your business does. Once a visitor lands on your website, you have about three seconds to get their attention. Three seconds to clarify your business. People aren’t patient and will not comb through every page of your website. This is a lost opportunity to build a loyal following of customers. Testimonials are an incredibly powerful way of convincing people to buy. People trust recommendations, especially from friends. If you’re a local business and visitors see testimonials from people they know or other businesses they know about, they are much more likely to buy from you. Quite simply, customers trust other customers. It’s a great way to show how good you are and how happy you make your customers. Testimonials also allow visitors to imagine themselves in the scenario, imagine getting help from you. If they can imagine themselves in place of one of your customers or clients, you’ve basically have already made a sale. ..and while we’re here, a bonus tip. The websites that give you the best return make it easy for web visitors to contact you. It’s imperative that you have your contact information readily available and easy to read on every page. I would recommend having your contact number and email at the top of your website. People do not have the patience to click through a contact us page, especially on mobile. Make it easy to for visitors to find out how to best contact you otherwise you’re losing a lot of potential customers. Getting these four (or five if you count that bonus one there…) core elements on your website will greatly increase your conversions. 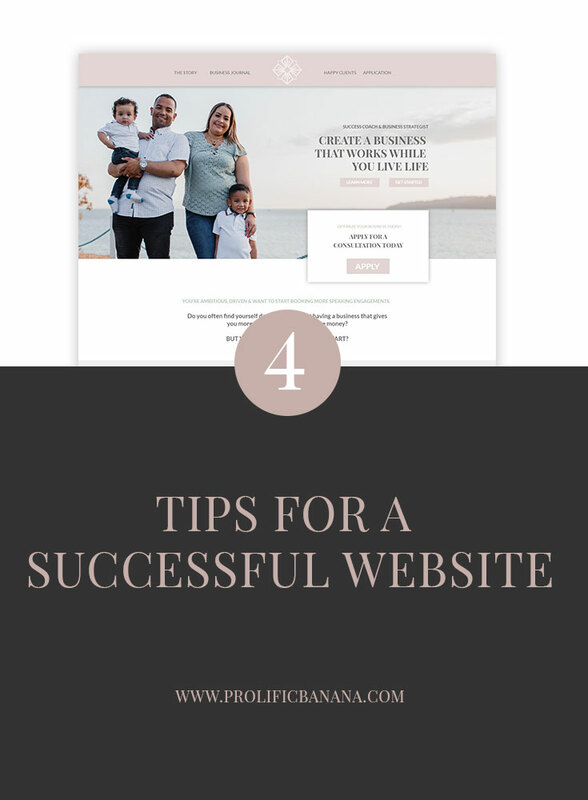 There is no quick fix to making a successful website, but these will get you further than most of your competition and allow you to improve your website, one day at a time.